Have you ever played the game tetris? My husband and kids love this game and are quite good at it. Unfortunately, I don’t like it. I get very anxious as I try to quickly move the shapes around so they fit into the available spaces before I run out of time. I don’t like to make decisions without the time to carefully consider all the options. And yet, it’s become painfully clear to me that I live my life like a tetris game. By that, I mean that I constantly try to make everything in my life fit neatly together. If I do this today, it will free up time to do that tomorrow. And if I make arrangements for something this week, it will be ready next week when I need it. While you might argue that this is organized and smart, there is something quite limiting about living one’s life this way. As I began to notice this, life came along to show me that I am – absolutely – not in control in the way I try to be. I just cannot make everything fit. After living in Virginia for five years, our daughter decided to return to California for graduate school. We carefully planned a cross country trip to drive her car back home. Each day and evening were planned with great care and excitement – mileage, interesting places to stop, parks to hike, people to visit. I flew to Virginia and we planned to leave the next day. And then she received an offer for a wonderful opportunity in Philadelphia. All of our plans had to be cancelled – in the blink of an eye. 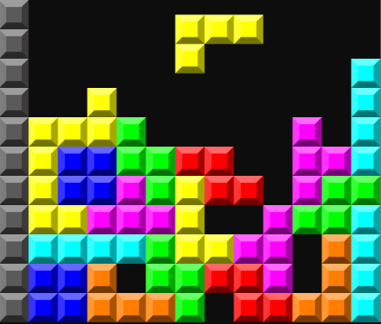 My mind immediately switched into tetris mode – the blocks had changed shape and I felt that I needed to quickly fit them into the new spaces. And then I stopped. Why not just live each of the days, suddenly vacant of plans, according to what presented itself? Clearly, all of our planning had not created the trip we had imagined, so why not keep our minds and imaginations open and decide each day, based on what was available to us, what we preferred to do? In all fairness, most of us don’t have a lot of experience with this way of living. Medical training is a prolonged and prescribed journey – there is little choice and our days are determined not by our preferences, but by the requirements and expectations placed on us by our position. Once out of training, we lead busy lives in which fitting in work, family, service and other activities we enjoy requires us to schedule ourselves tightly. When was the last time that you woke up and said, “What do I feel like doing today?” When I ask clients what they like about being on vacation, they nearly always say that it’s the lack of structure – being able to do whatever they want to do, when they want to do it. How can we give ourselves that sense of freedom in the midst of our busy lives? Is there a day, or part of a day – maybe this coming weekend – when you can just stop and ask yourself, “What do I want to do for the next few hours?” And then just do that. Suspend the tetris blocks, see what your heart and imagination suggest, and enjoy the excitement and wonder of spontaneity. What possibilities await you? This entry was posted in mindfulness, physician coach, physician coaching, physician fulfillment, physician work life balance, work life balance and tagged medical career, perfectionism, Physician coaching, Physician fulfillment, Physician work life balance, work life balance. Bookmark the permalink.